The Good Heart Firm, P.C. The Thistle Law Firm, P.C. Our goal is to connect people with the best local experts. We scored medical malpractice lawyers on more than 25 variables across five categories, and analysed the results to give you a hand-picked list of the best medical malpractice lawyers in Philadelphia, PA.
CQH Firm is an award-winning medical malpractice law firm in Philadelphia that provides expert legal advice and representation to the seriously injured and affected families nationwide. In particular, they handle cases of hospital negligence, defective medical devices, Stevens-Johnson syndrome, emergency room errors, auto accidents, and more. What sets them apart from the others is their perseverance and commitment to winning for their clients. QCH Firm is Super Lawyers-rated and has been named in The National Trial Lawyers' Top 100. Donaghue and Labrum, LLP is a law firm in Media that has been providing competent legal services to individual and business clients throughout Pennsylvania for over two decades. They specialize in different types of injury claims, including medical malpractice, nursing home abuse, and wrongful death. At this firm, they seek justice for their clients aggressively and cost-effectively. Donaghue and Labrum, LLP enjoys the highest Avvo Rating of 10.0 for medical malpractice, personal injury, and car accident. Philadelphia law office Duffy + Partners has been providing superior legal representation to the catastrophically injured and their families for more than 25 years. They handle cases of different complexity in the areas of medical malpractice and negligence, emergency room injury, construction accidents, aviation disasters, and more. The attorneys at this firm are skilled and always prepared to take a case to trial and win. Over the years, Duffy + Partners has secured numerous multimillion-dollar verdicts and settlements for their clients. For more than 100 years, premier law firm Fell and Spalding has been serving individual professionals, families, and businesses in Philadelphia. Areas of expertise include legal malpractice, defamation, and medical malpractice litigation and settlement, among others. What sets them apart from the others is their commitment to offering personalized services and attention regardless of the size of the issue a client is facing. Their aggressive approach representation helps them resolve legal matters quickly and cost-effectively. Since 1980, the medical malpractice law office of Ginsburg and Associates in Philadelphia has been delivering peace of mind to clients who are going through the hardest times of their lives. The cases they handle often involve birth trauma injuries, cancer misdiagnosis, defective medical devices, and various types of personal injury. At this firm, they offer individualized attention to their clients and guide them with expertise. Clients can communicate with the firm's staff via phone or email in English, Korean, and Spanish. The Law Offices of Judy Greenwood, P.C. is a firm serving Pennsylvania that specializes in all types of medical malpractice and medical negligence. The compassionate attorneys at this firm are capable of handling even the most complex emergency room error, birth injury, surgical mishap, and hospital negligence cases, among many others. Clients can rest assured knowing that this firm has over 25 years of experience and an impressive track record. Marrone Law Firm, LLC is one of Pennsylvania's premier injury law firms that has been seeking justice for the state's residents and businesses for over 25 years. 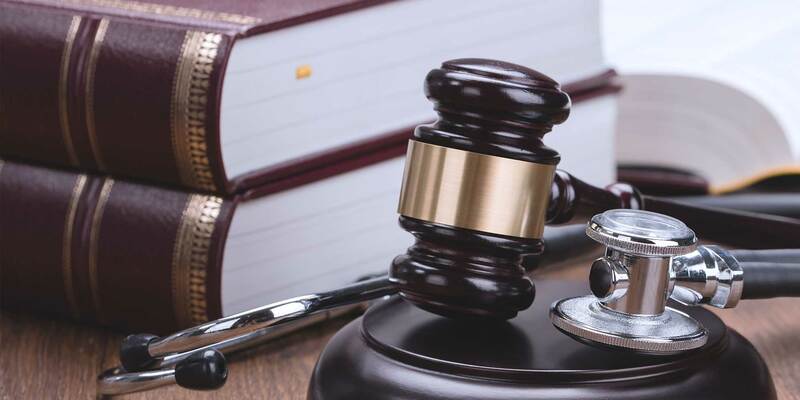 They have handled and secured millions of dollars in verdict and settlements for complex cases involving medical malpractice, catastrophic injuries, dram shop liability, construction accidents, and more. At this firm, they don't look at clients as just another case to win. They work closely with each client to understand their situations and create customized legal strategies with compassion and professionalism. Located in Philadelphia, McEldrew Young offers superior legal services to clients with an emphasis on complex personal injury, medical malpractice, and whistleblower cases. They are known for their knowledgeable and aggressive representation that is customized to the clients' needs. This often results in multimillion-dollar verdicts and settlements. Clients from across the state and the globe praise this firm for their strong dedication to winning cases and seeking justice for them. The law firm of Metzger and Kleiner in Philadelphia is a premier destination for medical malpractice clients who are looking for excellent legal advice and representation. They handle all types of medical malpractice cases including birth injuries, pharmacy errors, and severe nursing home neglect, among others. They are also experts in all other types of personal injury claims. Metzger and Kleiner takes pride in their competent and fierce representation in seeking justice for their clients. O'Brien and Ryan, LLP is an accomplished medical malpractice law firm in Plymouth Meeting that offers competent and compassionate legal services to clients throughout Pennsylvania. Being in practice for over 30 years, they have the extensive experience, knowledge, and skills to help create effective legal strategies that will secure the best outcomes for the clients. They work diligently in everything they do, from investigations and witness interviews to selecting the most suitable tools for presenting persuasive cases. Their diverse clientele includes individual professionals, institutions, and Fortune 500 businesses. Saltz Mongeluzzi Barrett and Bendesky, PC in Philadelphia is one of the country's leading personal injury and medical malpractice firms. Their areas of expertise include auto accidents, workplace injuries, birth trauma injuries, delayed cancer diagnosis, wrongful death, and more. The firm is known for their history of success which includes a record settlement of $227 million dollars for the case of the 2013 fatal Salvation Army store collapse in Philadelphia as well as $20 million in settlement for a teenager's death during a gene therapy trial. The law firm of Shaffer and Gaier in Philadelphia helps injury and medical malpractice clients throughout Pennsylvania who need dependable legal assistance. The attorneys at this firm have accumulated the experience and the knowledge to guide clients through the course of their legal matters. Moreover, they are always prepared to take cases to trial if necessary and win on their clients' behalf. This award-winning firm also offers free case evaluation. Pennsylvania injury law firm Shrager, Spivey and Sachs is a premier destination for clients who seek expert legal counsel and representation. They have a team of attorneys with experience in different types of injury claims including medical malpractice, vehicular accident, and bad faith insurance, among others. Moreover, they have recovered several hundreds of millions of dollars for their clients. The firm has been consistently recognized by clients and peers, e.g. American Association for Justice, for their expertise and exceptional service. The Brod Law Firm is a personal injury and medical malpractice law firm in Philadelphia that has been aggressively fighting for the rights of injury victims and families for more than 30 years. Specifically, they handle cases of detrimental surgical mistakes, spinal cord and brain injuries, hospital negligence, cancer misdiagnosis, motor vehicle accidents, and more. This award-winning firm provides free consultations and is known for their extensive experience, accessibility, responsiveness, and personalized services, among others. The Good Heart Firm, P.C. is a Philadelphia-based law firm that employs a modern, innovative approach to seeking justice for individual professionals, families of injured victims, and business owners. This boutique law firm's legal services span the areas of medical malpractice, birth injury, product liability, commercial disputes, and more. Their cost-effective representation and exceptional services earned them a five-star rating in Google reviews. Located in Philadelphia, The Pearce Law Firm, P.C. offers expert legal advice and competent representation focusing on medical malpractice and personal injury to individuals, families, and businesses. Some of the cases they handle include failure to diagnose, birth injuries, hospital error and negligence, dangerous properties, and auto accidents, among others. Unlike at large firms, attorneys at the Pearce Law Firm, P.C. are personally involved with a client's case from initial consultation to building a case and winning for them. They are also rated AV Preeminent by Martindale-Hubbell. The Thistle Law Firm, P.C. is a family-owned law firm in Philadelphia that specializes in major medical malpractice and personal injury cases. With a combined experience of over 80 years, they are capable of handling complex legal matters quickly and cost-efficiently. These include cases involving birth trauma injuries, defective medical devices, wrongful deaths, and more. Clients recommend this firm for their extensive experience and for the personalized attention and service they provide. Warren and McGraw, LLC is an accomplished law firm serving Philadelphia that specializes in medical malpractice and personal injury. These include cases involving defective medical devices, birth injuries, auto accidents, and disability benefits, among many others. What sets them apart from others is their hands-on approach to handling cases and their commitment to providing personalized attention to clients. The attorneys at this firm have been recognized by peers as indicated by their excellent Martindale-Hubbell and Super Lawyers ratings. Weiss and Paarz, P.C. is a top medical malpractice law firm in Philadephia, Pennsylvania that is aggressive in helping clients get the compensation they deserve. They handle a full range of medical malpractice cases, from brain injury and emergency room malpractice to birth injury and cancer misdiagnosis. Being 100% devoted to such cases, they are capable of concentrating all their resources, time, and effort in guiding clients through the course of their legal matters, regardless of its complexity.